Pep Guardiola’s Manchester City were pitch perfect and on a superior wavelength as they left Manchester United quivering in the shockwaves of a sky blue derby day win. City tuned in to Pep’s talk as United and Jose’s United zoned out in the Manchester derby. Exclusive image courtesy of Stiz of BlueRoom, sponsors of Read But Never Red. Mourinho’s mob were left twiddling with the knobs of an old wireless, while Pep’s men sent out a high frequency signal, one that will be received with trepidation by the rest of the Premier League. City’s players have attuned remarkably quickly to the carefully crafted football choreography of their Catalan leader, displaying verve, vitality and ‘vamoosh’ as they moved away at the top of the Premier League table. 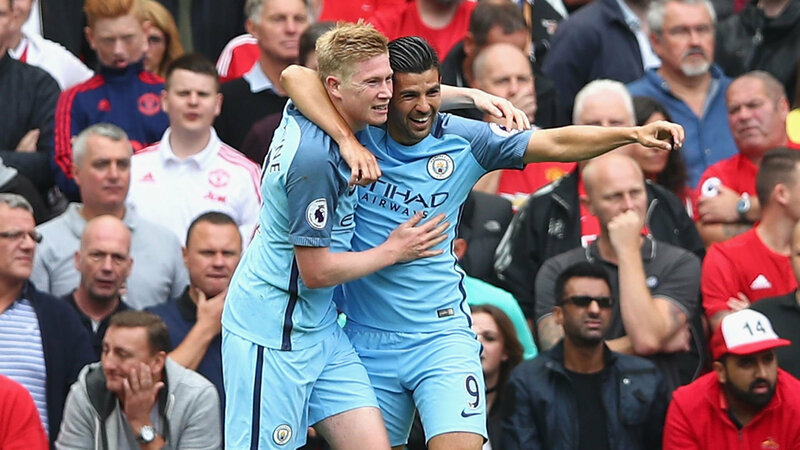 Kevin De Bruyne led City’s orchestral manoeuvres on the Dark Side when he opened the scoring. Guardiola’s all-out attacking approach set the tone for a sumptuous City display, overcoming some slight United interference, en-route to a seismic 2-1victory. Man of the Match Kevin De Bruyne must have had his ex-Chelsea boss squirming, with a sensational performance oozing class, creativity and clinical finishing. Jose once dismissed KDB as ‘cry baby’, but the only tears being shed at Old Trafford were those of joy, as De Bruyne cut through every sinew of United’s being. The flame-haired Belgian scored City’s opener with ice cold efficiency. Next up, his angled left foot drive ricocheted off de Gea’s post, providing the assist for Kelechi Iheanacho’s goal. KDB had the beating of de Gea for a third time when another shot hit the post, before the ball rolled agonizingly along the United goal line and away to safety. 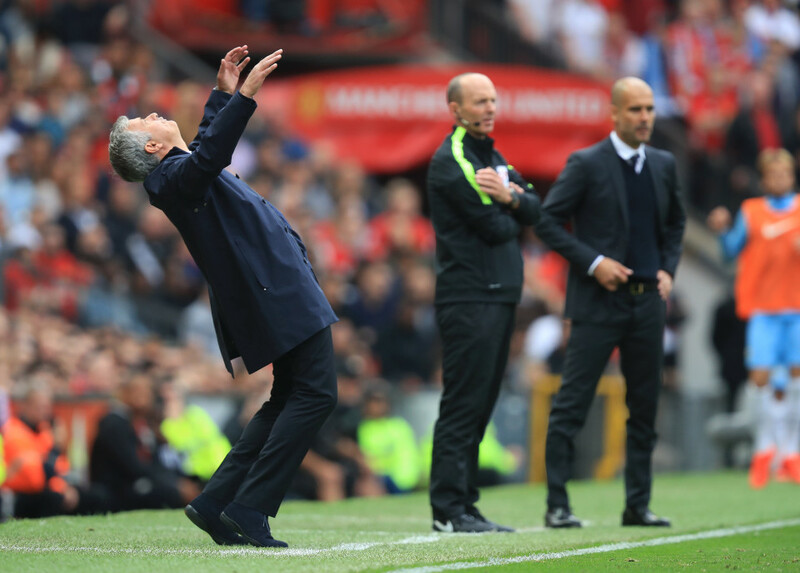 Jose throwing ‘some shapes’ as United danced to City’s tune at The Swamp. Shorn of banned superstar striker Sergio Aguero and denied the talents of not fully fit Vincent Kompany and Ilkay Gundogan, City were, nonetheless, in total harmony as they cut through the red ranks with consummate ease. It was as if United weren’t even there for the first 40+ minutes. 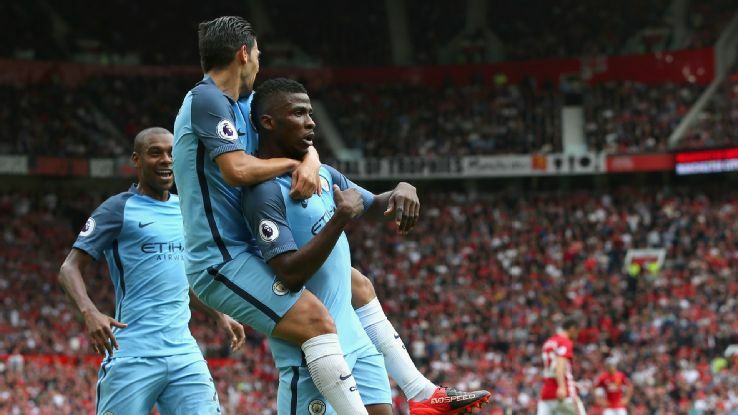 Kelechi grabbed what proved to be the winner as City sent shockwaves around Trafford and Salford way. World record signing, £93m Paul Pogba displayed unexpected solidarity with his blue opponents, opting to pay homage to City’s fabled ‘Invisible Man’ or, as PP himself would, say ‘Homme Invisible’. Pogba played the part to perfection and is due to collect the Global Hide & Seek Champion Trophy in the near future…if and when he eventually re-appears. Rooney wasn’t a total loser as City won their 50th Manchester derby. Wazzer won the ‘Where’s Pogba Gone?’ competition. Effectively reduced to 10-men (dix homme, as Paul would later joke) United were enveloped in a cacophony of discord led by a man wearing the Captain’s armband and, what appeared to be Shredded Wheat on his head. The pundits and media who pander to, and fawn all over United, still love ‘world class’ Wayne Rooney, although it’s still unclear as to the topic of discussion when the term is applied. Perhaps Rooney excels in the ’90 Minute Mouthing Off’ category? On Saturday’s display he’d certainly be up there with the very best. Maybe it boils down to what constitutes petulance or passion? 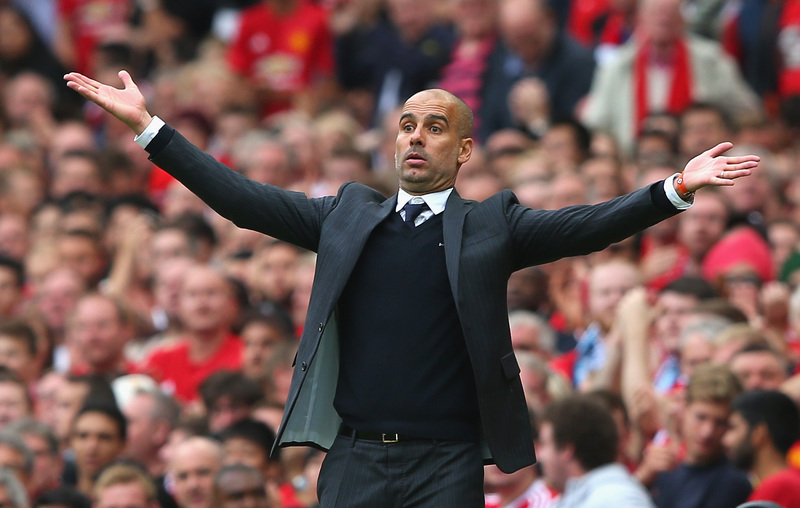 So, Pep – how big is the chasm between City and United? What was never in doubt on this showing was Guardiola’s superior tactical nous over Mourinho. Jose’s plan to force City to play narrow, backfired in spectacular fashion with Lingard and Mkhitarayan dumped at half time, with the United manager later blaming his players for not being up to the challenge. A nice touch of man management and leadership by the Not So Special One. In contrast Guardiola had his team produce an almost perfect first half, as City completely mesmerized the pre-match favourites. 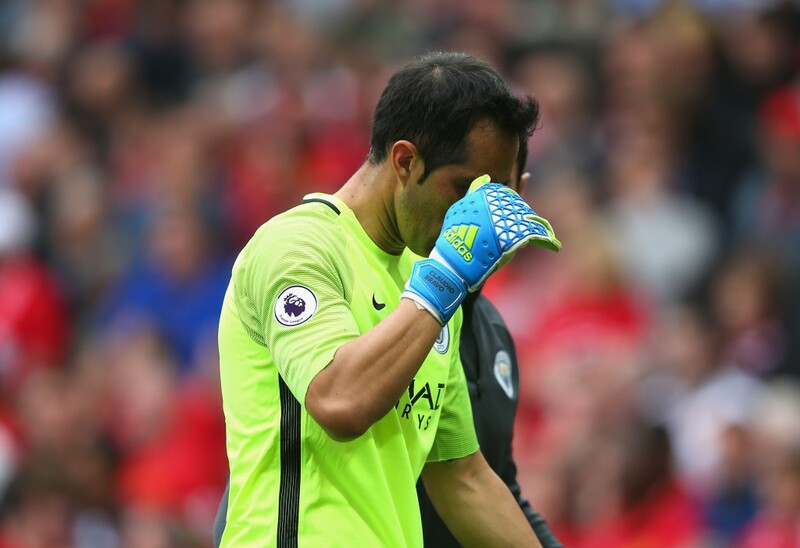 The only negative from City’s perspective, came from a surprisingly anxious and uneasy looking Claudio Bravo, making his debut in City’s goal. 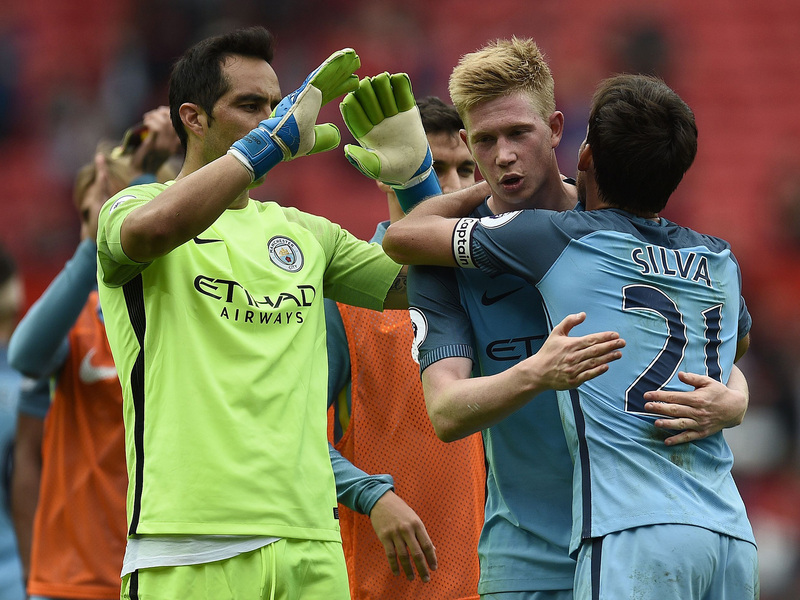 Jittery Bravo – City’s new keeper made an unconvincing start in English football but Pep has every confidence in Claudio. 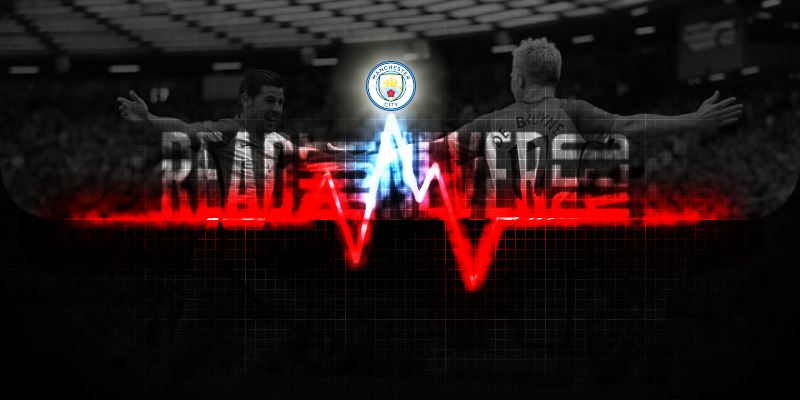 Despite the Chilean international’s erratic day, City were totally in tune with Pep’s evolution – one that has accelerated into a revolution – all within 540 minutes of competitive action. Otamendi was immense while Stones continues to look imperious. 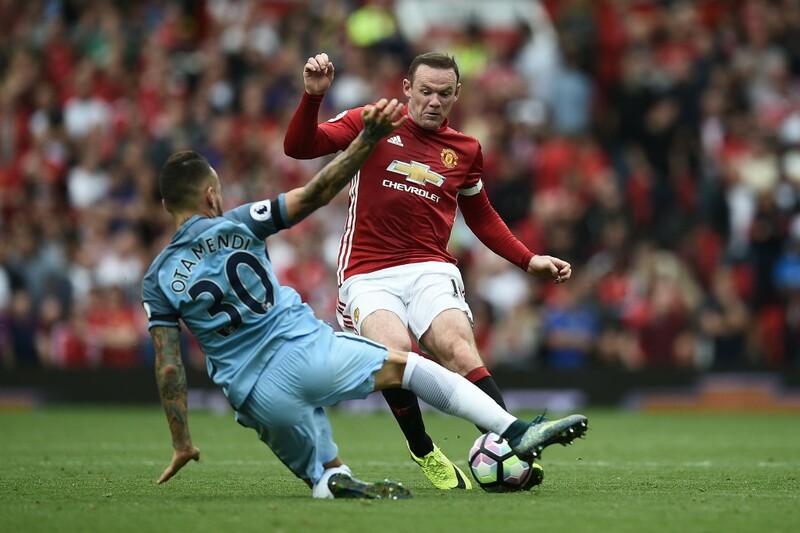 Warrior Otamendi had the measure of Rooney as the United skipper lost his rag! Kolarov continued his metamorphosis from a lazy, couldn’t care less, waste of space under Pellegrini, to a competitive, combative and more than competent defender on Pep’s watch. The Serbian’s transformation is nothing short of astonishing. AK 47 even shed a front tooth for the cause, courtesy of yes, you guessed it , Fellaini’s flailing elbow. Odious microphone head was back to his best/worst of dirty derby day antics. 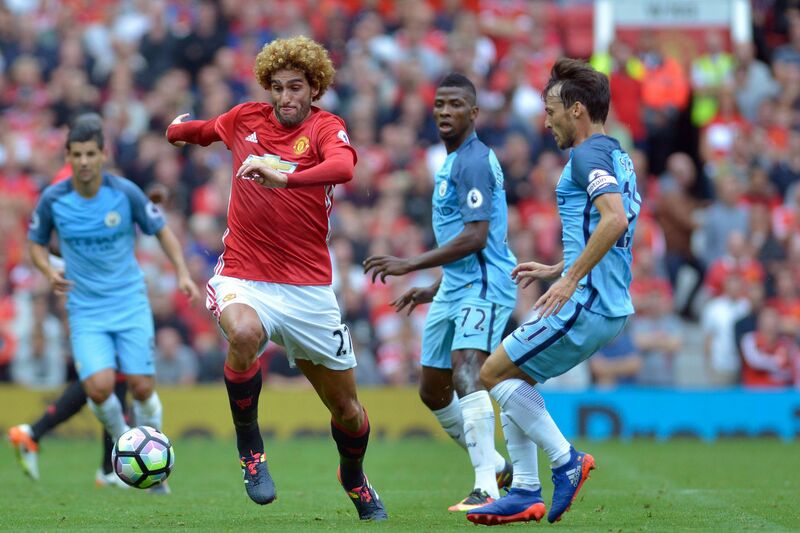 Fellaini the felon – the vile Belgian knocked out Kolarov’s tooth and spat at Nolito and still had only the one yellow card to show for it. Having elbowed and spat at Zabaleta, as well as spitting at Aguero in previous encounters, the vile Belgian knocked out Kolarov’s tooth and spat at Nolito. A thoroughly objectionable individual, one can but wonder how De Bruyne and Kompany truly view their fellow countryman? City controlled the midfield with Silva faultless, Fernandinho indefatigable and Sterling, brimming with confidence after his Premier League Player of the Month Award. 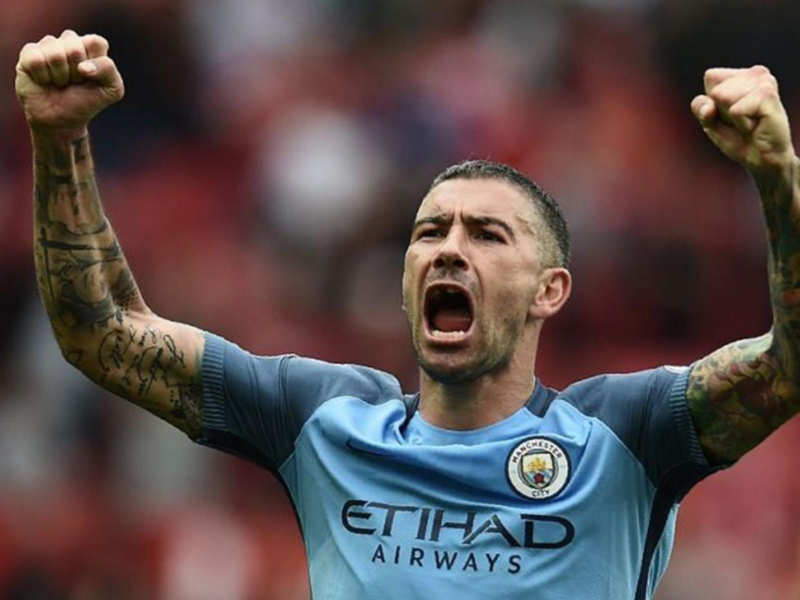 Aleksander the Great – Kolarov has undergone a complete transformation under Pep Guardiola’s reign. Nolito continued to surpass expectations, while Kelechi popped up with what must be his career highlight to date, a derby day winning goal. 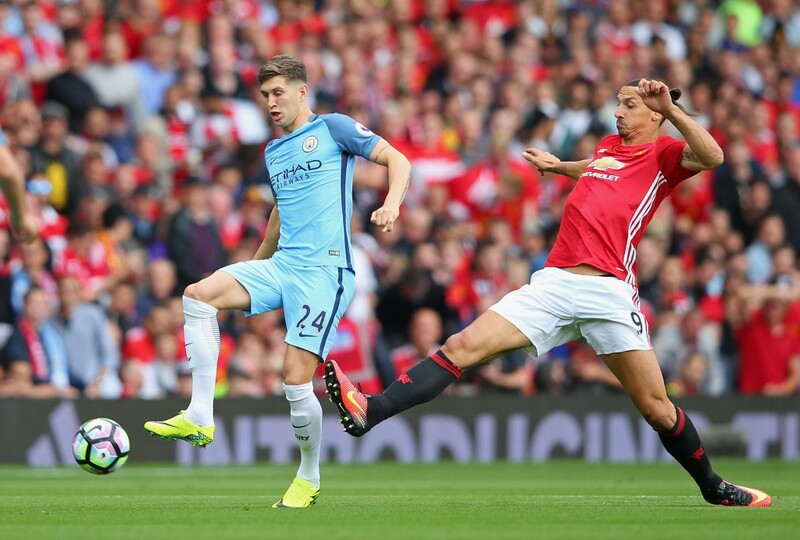 Iheanacho hardly figured in the after match headlines – such a contrast to when Rashford scored the winner at the Etihad in March. Both players are outstanding prospects, but it’s all too easy to see where the media hype lies. Stones grows in stature with every passing game…and passing is his game! Still, City proved that actions speak louder than words and Guardiola is more than happy to let his team do his talking. Jose, on the other hand prefers to undermine his players and commit heresy by blaming Fergie’s mate, referee Clattenburg for United’s woes. 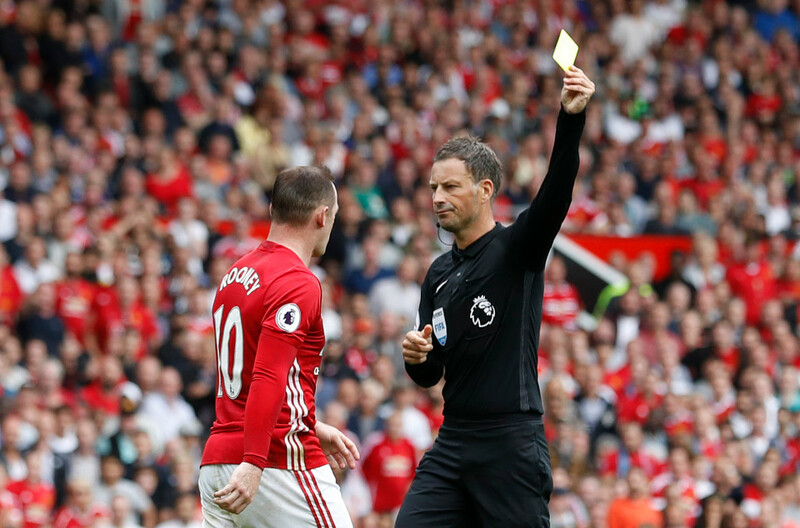 Clattenburg eventually succumbed to the inevitable booking for Rooney, but the United skipper should have been sent off for an accumulation of bookable offences. Mourinho’s straw-clutching related to two penalty appeals involving Bravo and Otamendi – neither of which were viable, albeit the City goalkeeper’s clash with Rooney, sparked considerable debate. City’s sweeper keeper wasn’t the only player making his debut, with Leroy Sane coming on as a sub, and showing encouraging early signs of his prodigious talent. Credit where it’s due, Fernando played his part as a second half sub for Kelechi, helping bolster City’s defence, as Pep opted for a modicum of pragmatism. 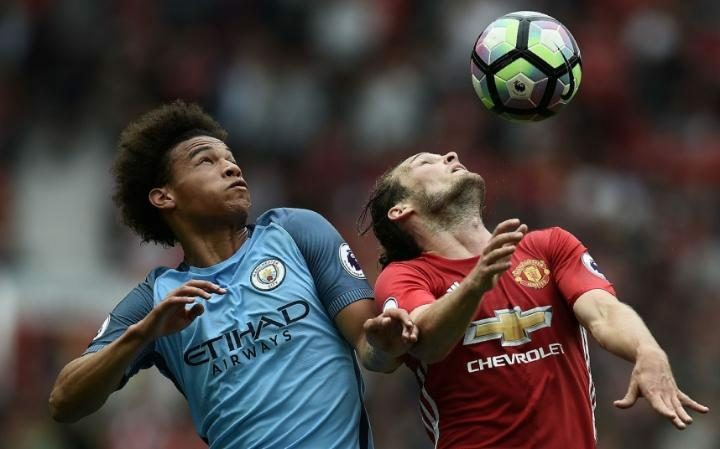 What an insane way to make your City debut – Leroy Sane now has a 100% win record against United. Basking in the warm afterglow of an eighth win over Jose in 17 match ups (Pep’s drawn six and lost only three) Guardiola is finding top flight English football to his liking. He knows the Champions League could offer a more thorough scrutiny of what he’s achieved during his first few weeks at the Eithad. Borussia Moenchengladbach will be a familiar opponent to both Pep and City – Guardiola from his time at Bayern Munich, and City, who squeezed past the hard working Germans, 2-1 and 4-2 in the group stages last season. Mission Accomplished – City celebrate their derby day win. It looks certain that Aguero will play, as he works through a three-game domestic ban, and the game could mark the eagerly anticipated debut of Gundogan, potentially Guardiola’s best summer signing. City should be capable of maintaining the status quo and sustaining Pep’s 100% win record. The only element likely to strike a bum note will be the Champions League anthem, doubtless accompanied by raucous booing, when it rings out at the Etihad tomorrow night. Fair assessment as usual David, apart from the bit where Maureen forgot about the 2 stonewall penalties City should have had. Methimnks clusterfook must have had his Marriner eyes in for the first one Felony v Nolito, arm over (not in a friendly way) and also trying to swap shirts before the half had ended! Secondly the outright kicking received by Otamendi by Bailley, front, back and then a petulant kick out. Again both missed! City & Pep schooled 'nited in FOOTBALL, not HOOFBALL, It was like watching a Big Sam/Tony Pulis team. Hoof it up to the big fellah, and hope for the best! Thanks Steve - sadly we're going to have let actions speak louder than words because the United loving media - scared of alienating any Manure supporters from their programmes or 'newspapers' - are never going to give us the praise we deserve. 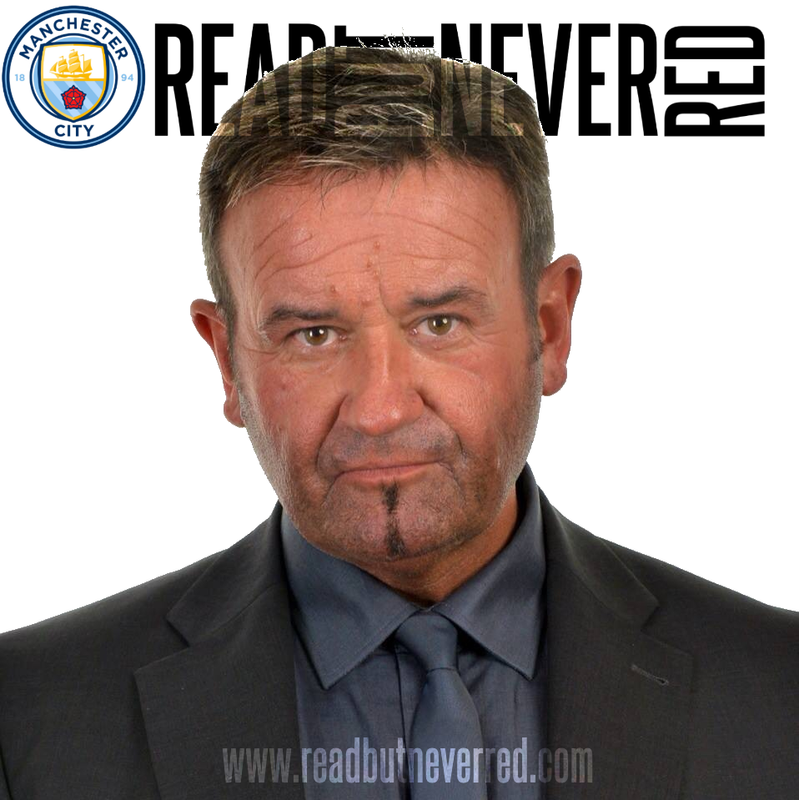 I have seen evidence of a memo in certain key media organisations, stating never to over praise City because it might antagonise the likes of Manure, Liverpool & Arsenal fans who form a large part of said media outlet's audiences. Pathetic, but there you go. I've never understood why Clattenburg is praised by officialdom. 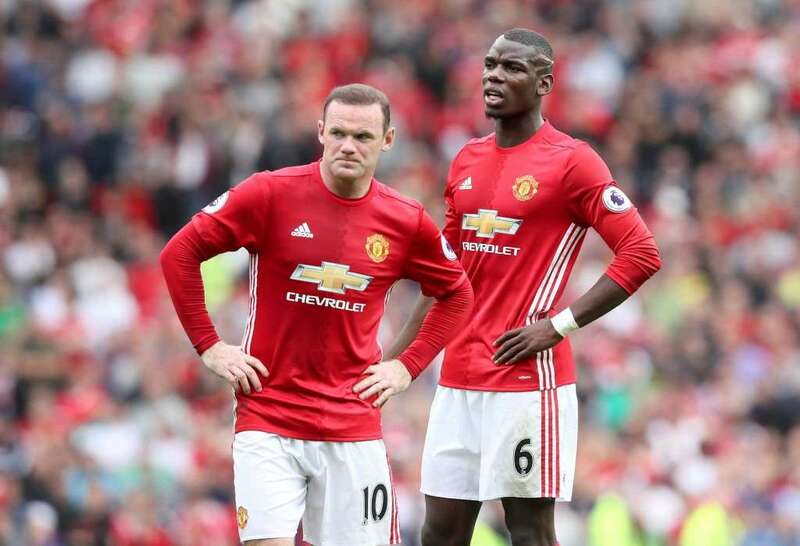 His performance on Saturday was marginally better than his usual and, perversely he didn't give way to Rooney's petulance...for a change. Great day, great performance against the appalling rough house tactics employed by Mourinho's men. In essence we have beaten Stoke twice in our two away games, the first one tried to play but were outdone, the second showed all the horrible elements of a Pulis team who were outdone & outclassed. Sadly much of the media have ignored our brilliance. I think the best way if dealing with them is to shun them, they are scarcely worthy of our contempt. Nicely put sir. As for the media we would expect nothing better - they focus on all the United angles and Bravo's mistake. As you say, they're an irrelevance in the greater scheme of things. Brilliantly put Mr walker you aren't half getting good a this lol. Not only was our football on another plane for 40+ we also should the ability to dig in when needed. Even some rag friend's of mine said how good we were ( yes there been tested for drugs) Pen for Rooney!!!! he shouldn't of even been on the pitch, never liked him but now even utd fans are turning on him. Had fun with a rag at work today not so sure he sees it that way lol. It's onwards for us now how good might we be in another 2 or 3 months time. It's the other half I'm worried about, the half where I'm not so good at this ;-) Our win and more importantly, the manner of our win, has really stuffed it up the media and Sky. Let's see what BT Sport Football have in store for us tomorrow night. It's early in the season but we are oozing promise. I must confess I didn't think Pep's impact would be felt quite so soon in such a wonderful fashion. Plenty more fluids to extract from our many foes in the days, weeks, months and years that lie ahead! Some good humour here !!! Yes even our ManU chums said City were superb in that 1st half and believe me that doesn't often happen. As yet Kelechi hasn't had the credit he deserves from the media but that isn't a bad thing at all - They are famous for building players up then knocking them down. Kolorov has been a revelation - his pass for the first goal was superb. As for some Big Sam/ Pulis tactics on disply - If you don't expect anything you won't be disappointed - Let's do it the Pep way - onwards and upwards. I call it irreverent humour - nothing that constitutes libel - but enough to make the point. The match showed perfectly why United wanted Pep over Jose, but then pretended they didn't want Pep after all and Jose was their first choice...after David Moyes, LVG and more latterly Snr Guardiola ;-) The media praise City through gritted teeth. Just listen to the intonation in Martin Tyler's voice when City scored and when Zlatan scored. As you say it looks like City are going to be successful playing beautiful football. There's every likelihood United will be nowhere near as successful playing ugly football. Now that sir sounds like a plan.